Announcements > INS Grant Awarded to Elkader Fitness Inc.
INS Grant Awarded to Elkader Fitness Inc.
Iowa Network Services Awards Grant to Elkader Fitness Inc.
Iowa Network Services is pleased to announce that Elkader Fitness Inc. is an award recipient of the Iowa Network Services Charity Grant program. 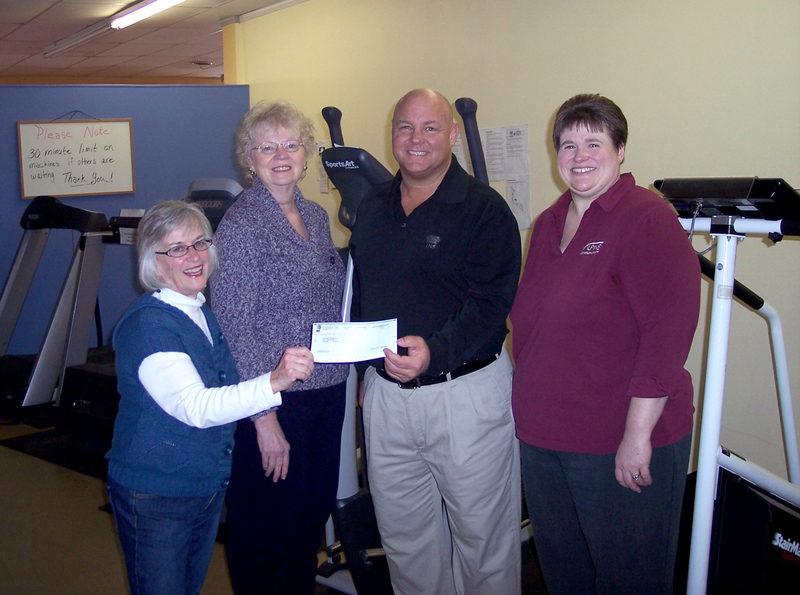 Elkader Fitness Inc. was awarded $500 to purchase a new stair climber machine. INS created this charity grant program to increase its service and support to the communities it serves and to help bring INS closer to its customers. INS presents this award in conjunction with Alpine Communications. 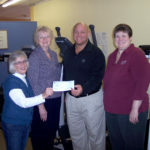 Alpine Communications supported the grant application submitted by Elkader Fitness Inc.
Pictured are Jean Marie Hall and Carolyn Phippen, Elkader Fitness Inc.; Joe Craig, Iowa Network Services; Margaret Corlett, Alpine Communications.